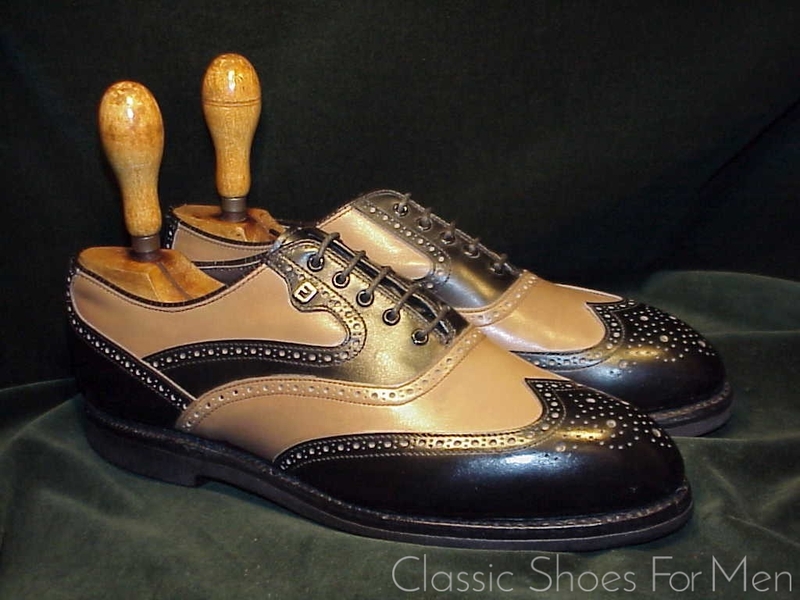 This delightful Spectator is built on the same last as their “golf trainers”, although intended for use on or off the green. 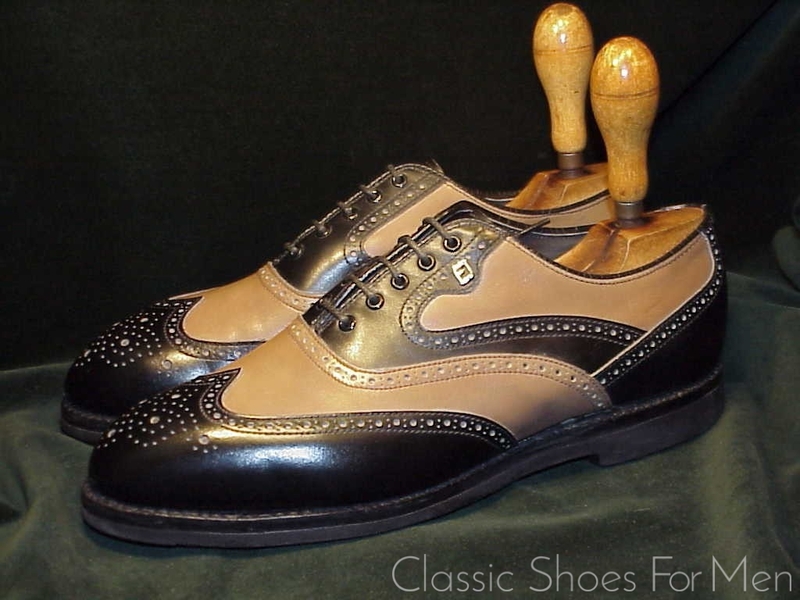 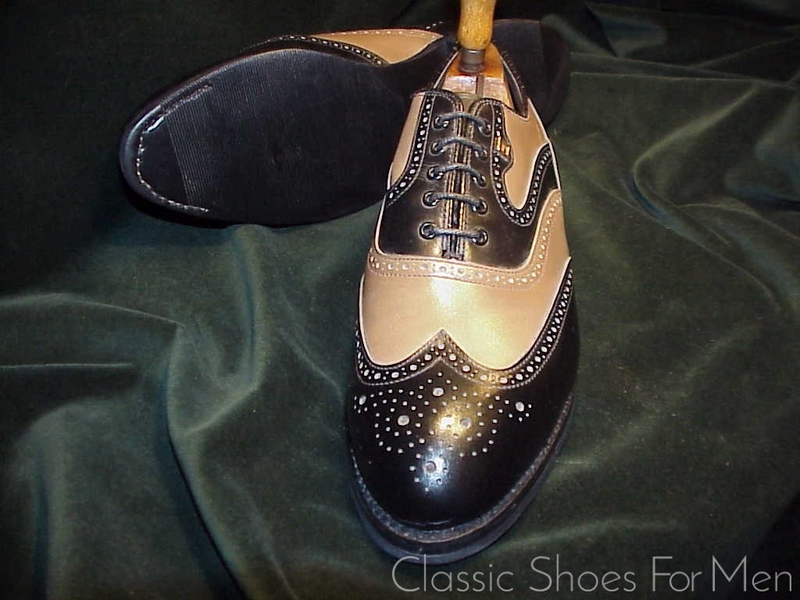 I find these trainers, in whatever configuration -Spectator, Saddle Oxford, Wing-Tip Brogue- it to be among the most supremely comfortable walking shoes, my personal shoe-of-choice for long city walks. 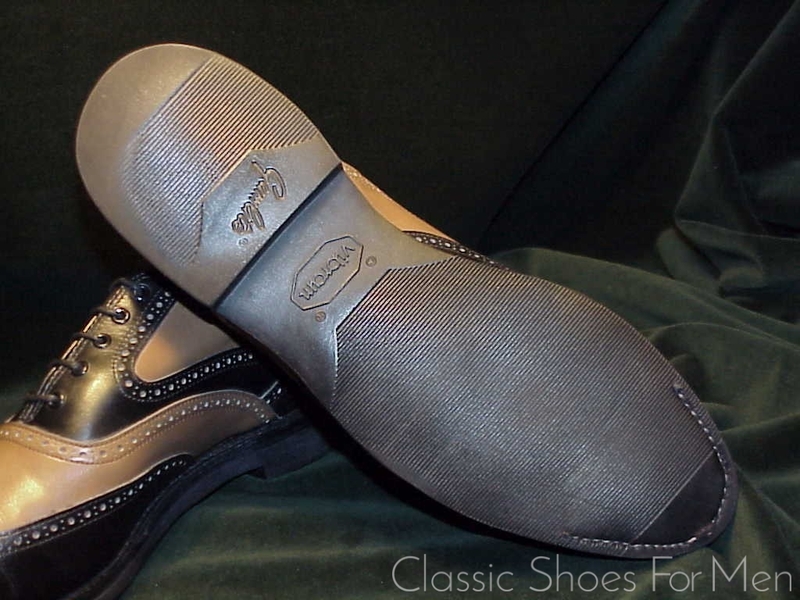 Between the rubber soles and generous internal padding, this shoe has all the properties and comfort of a gym or work-out shoe, while eminently suitable for everyday use. 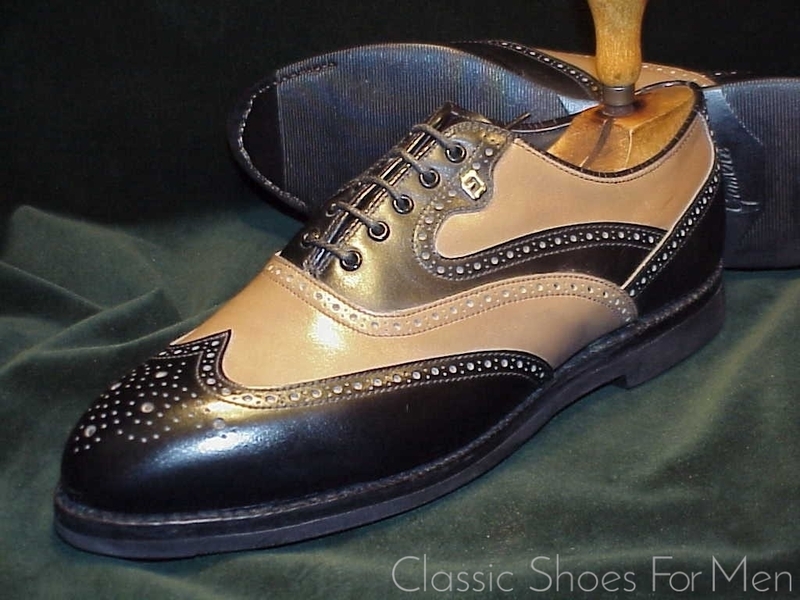 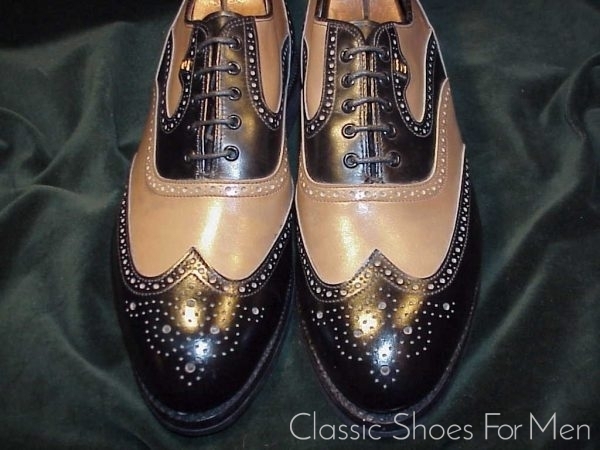 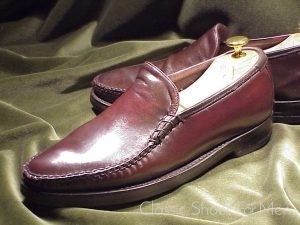 Be kind to your feet and knees with this attractive and well-made cushion-soled Oxford Spectator. 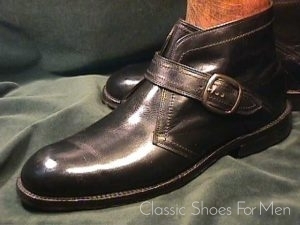 Tradition meets last-word technology; the most comfortable shoe you will ever own. 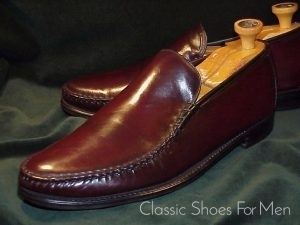 An excellent choice for inclement weather too! 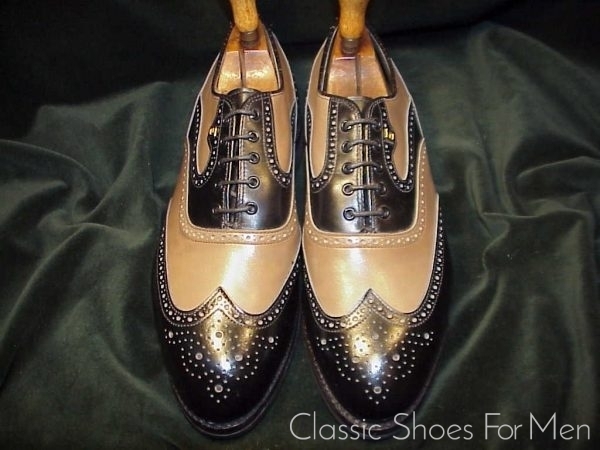 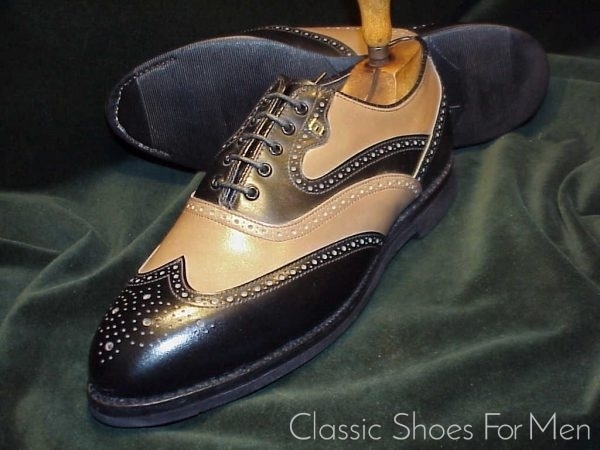 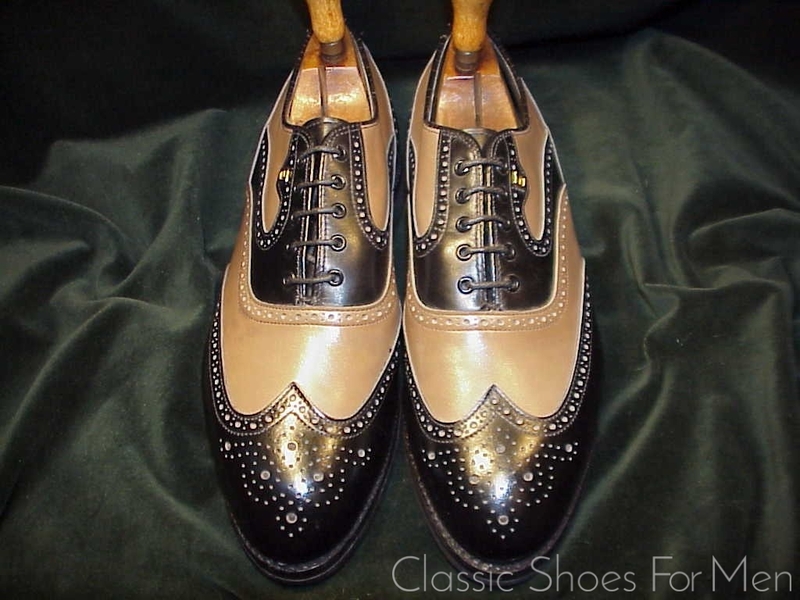 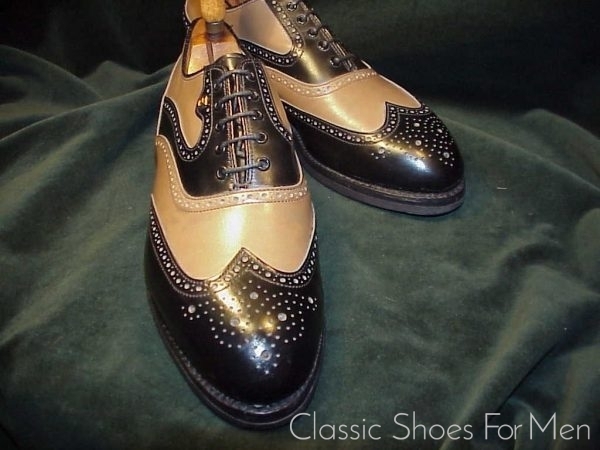 As to design: the Spectator is in a long university tradition and this particular item, with black over brown calf, allows for it use where the usual black/white or brown/white combinations would be too pronounced. 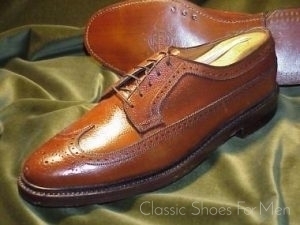 In short, a very successful combination that does not overstep the most exacting traditional taste. A lovely shoe! A favourite. 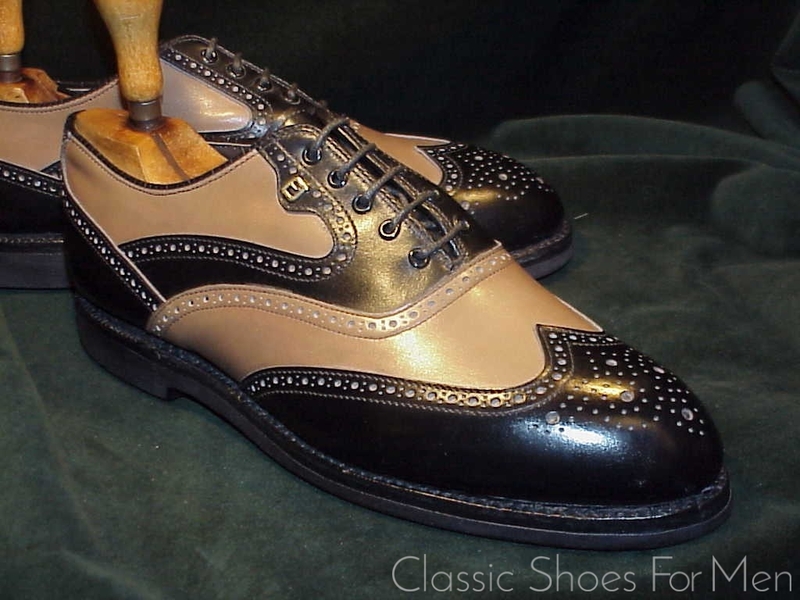 Please note that neither this shoe nor any of the other FootJoys show in this website are available from the company today. 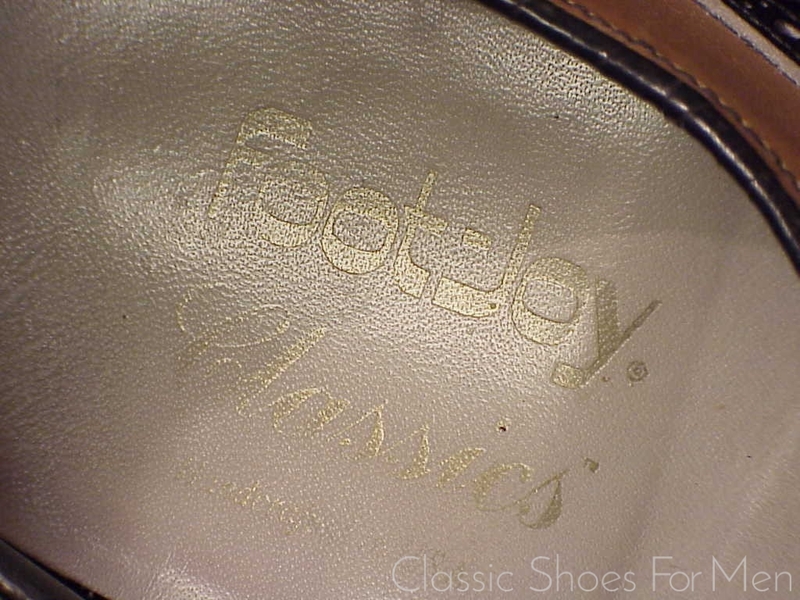 These are the true American-made FootJoys, the last of which were made in 2008, at which time the Brockton, Mass. factory closed its doors forever. US 8.5D-9C…..UK 7.5E-8D…..Continental 41.5D-42C, for the medium width 41.5 or the slightly narrower 42. 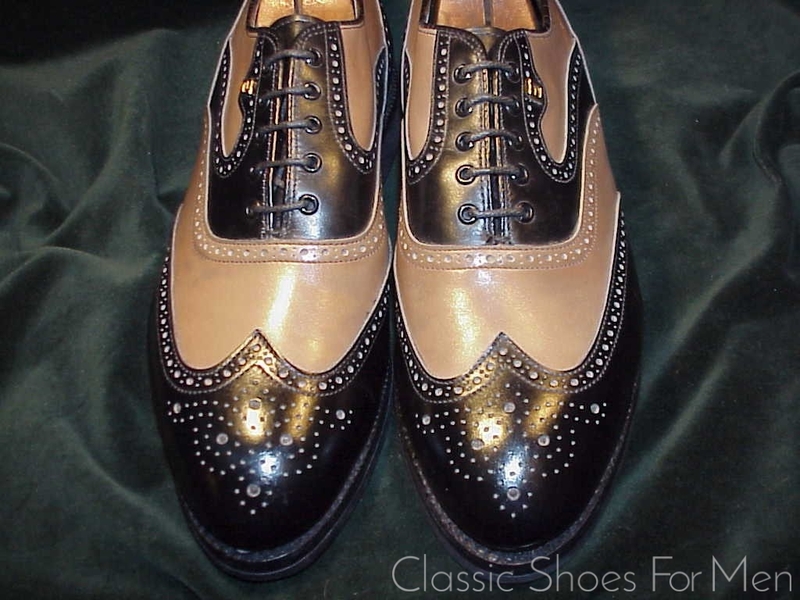 Superb, near new; showing only the first trivial rubbing of the soles.